We are all concerned about the direction of our communities and our country. It is easy to spend all of our time listening to the commentators and talking about how wicked the world has become. God’s people have a work to do – the one work that can truly make a difference. Only the gospel of Christ can change hearts and homes. All people need the gospel. My pastor often said, “You can’t witness to the wrong person!” People of every age and background need the Lord Jesus. Yet in many ways the heat of the battle for souls is to be found among young people. As go the young people so goes another generation. The only way to change a nation is to reach a generation. The work of the church is gospel work and it is generational work. Truth transcends generational lines. If you want to charge the gates of hell then you have to advance the gospel to a generation of young people! Later this spring we are hosting our 2nd regional Baccalaureate service for high school seniors in southern West Virginia. Last year the Lord blessed in a marvelous way and great numbers of students and family members responded. Our goal is the gospel. This generation needs the good news that only Christ brings. I am personally excited about what God will do this year. The response from area schools, churches, and people in the community has been very positive. You can read more about this gospel effort at wvgrads.com and see pictures from last year on both Facebook and Instagram. Pray. Mark the date of May 12, 2019 and begin to pray now that the Lord would give His favor and lasting fruit. Come. If you can join us for this event and bring a group with you we would be honored to have you. 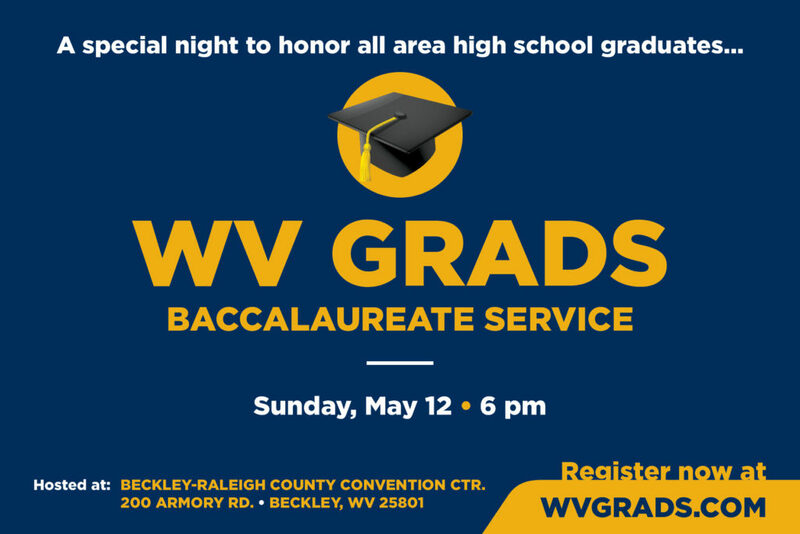 This year’s Baccalaureate service will be hosted on this Mother’s Day Sunday evening at 6 pm at the Beckley-Raleigh County Convention Center, 200 Armory Road, Beckley, WV. Promote. If you are within driving distance of Beckley please help us share this information with high school seniors, neighbors, and your own pastor. You may want to pass the website along to businesses that may be interested in helping to sponsor this event. Invest. It is vital that we raise several thousand dollars for promotion, the event itself, and resources that will be given to each guest. Any gift God directs you to make would be greatly appreciated. You may mail your tax-deductible gift to P.O. Box 2901, Beckley, WV 25801 or donate securely online at scottpauley.org/invest. Engage. Ask the Lord how He would have you to engage students in your home area with the gospel. Your church may consider beginning a school Bible club or helping to sponsor a baccalaureate service for your local high school. If we can help you in any way to see something started please let us know! Groups of all types are trying to speak into this generation. We must not miss this open door. It’s our turn. Are you concerned about our nation? Do something to reach a generation.